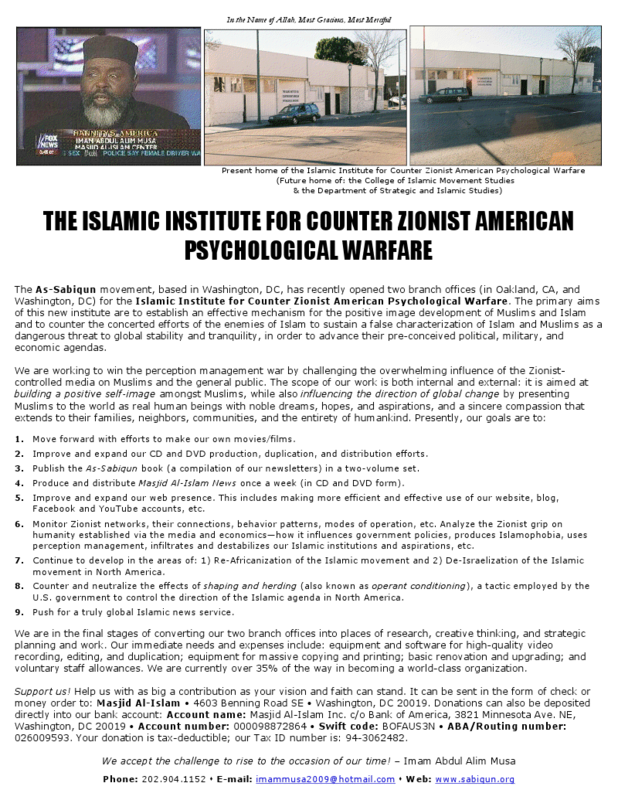 One of America's most radical homegrown Islamist groups has opened two new centers focused on the "Zionist American" threat, a thinly-veiled reference to the group's anti-Semitic and anti-American message. 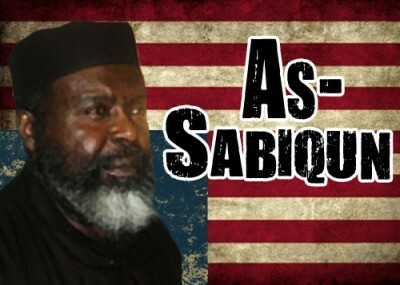 Under the leadership of extremist Abdul Alim Musa, the Sabiqun organization has tried to blur the line between attacking Jews and criticizing Israel, as well as striking out against America. "The American government and the Israelis are finished. It is our duty to point these issues out for the people; that's our duty and that's our responsibility. Right? That's your duty that's your responsibility," he added. "The United States government is your responsibility. The Hindu-stani government is the Kashmiri's responsibility. The Israelis is the responsibilty of the Palestinians, it's what Allah gave 'em. And it is our duty to help them. But the monster, the global monster that is now in the decline, is our job." The institute plans to continue the hateful and violent rhetoric that has become essential to Sabiqun's ideology, whether reinforced through speeches or educational material. As the flyer for Sunday's event notes, the movement "must consciously subject itself to an evolutionary process… to propel us to emerge out of the gravity of self-imposed stagnation." 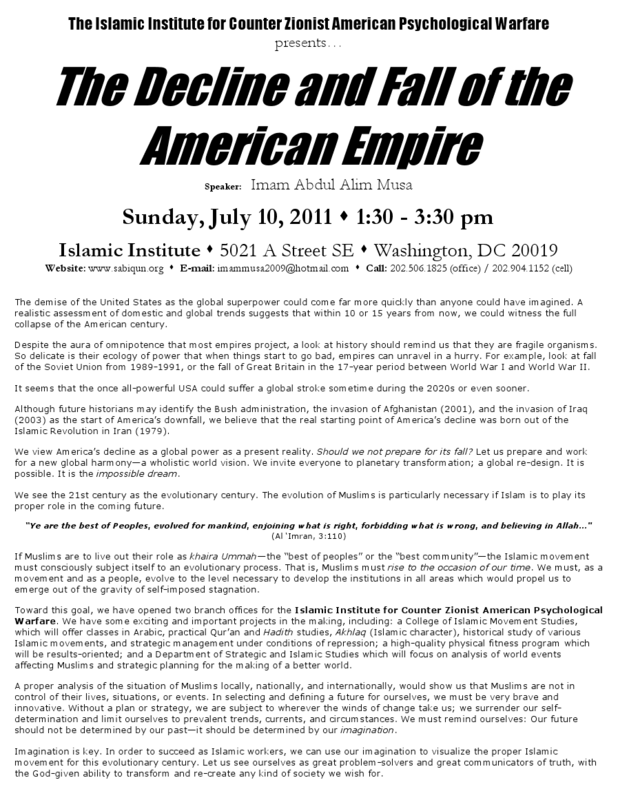 Building on its young base, Sabiqun plans to implant anti-Zionist and anti-American ideas into another generation, which it hopes will sustain the legacy of Imam Musa. 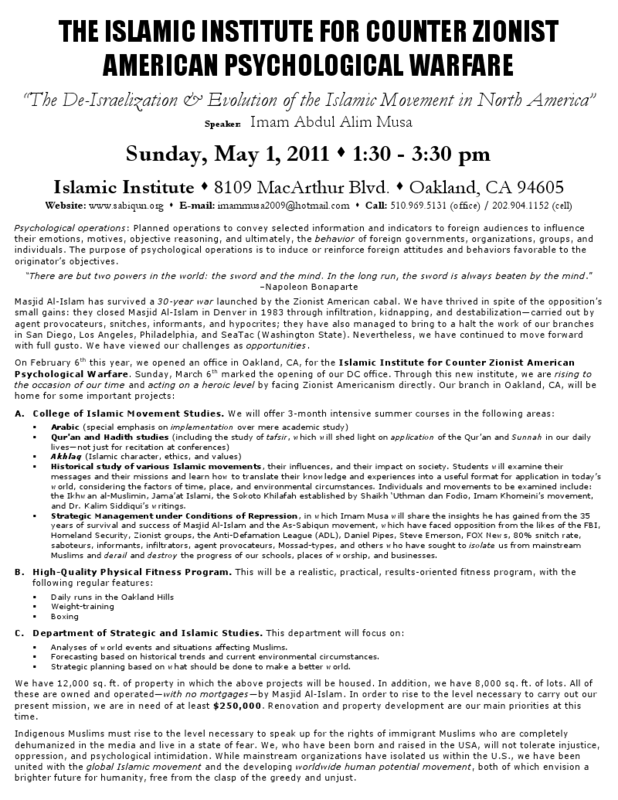 Why is this organization not charged with terrorism? When will the American people wake up and smell the coffee - after you become an Islamic country?